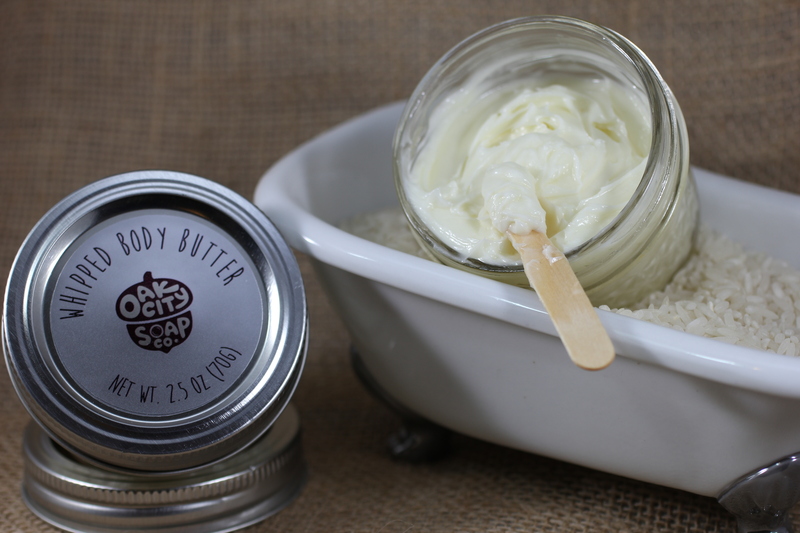 This all-natural whipped body butter is great for hands, feet, and more! Our whipped body butter is made in small batches with all-natural ingredients. The result is a rich, creamy butter that nourishes and revives dry, cracked skin – perfect for those cold winter months! Scented with Lavender Essential Oil, this butter is sure to soothe from the outside in. Ingredients: Butyrospermum Parkii (Shea) Butter, Cocos Nucifera (Coconut) Oil, Prunus Amigdalus Dulcis (Sweet Almond) Oil, Theobroma Cacao (Cocoa) Seed Butter, Lavandula Angustifolia (Lavender) Oil. NOTE – This product uses no animal fats, oils, products or byproducts and is safe for vegan use. This is a handmade product. Due to the handmade nature, individual jars may vary in color/pattern/design and may not be an exact match for the photo(s) shown. Shipping in warm weather temperatures may cause the product to melt in transit! Copyright © 2015-2018 Oak City Soap Co. All rights reserved.